Tired of typing emails on a tiny keyboard? Send a voice message instead! 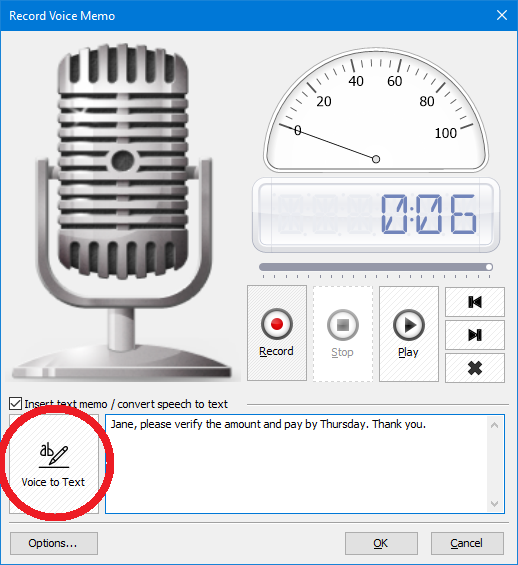 Click on a button and record an MP3 voice message. You can also optionally convert your voice message to text. 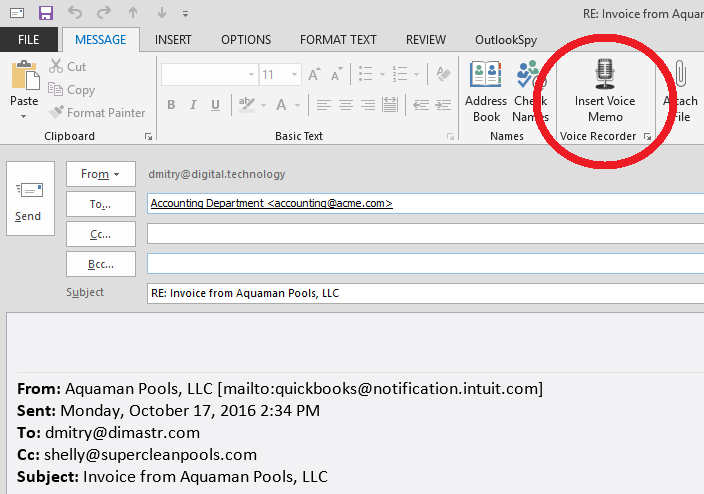 Outlook Voice Recorder integrates directly into Outlook. 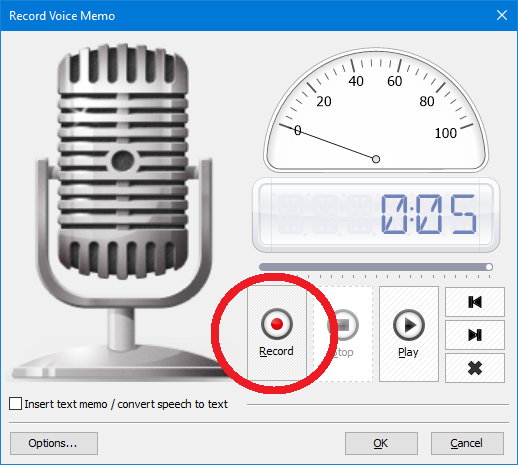 Just click the "Record Voice Memo" button. 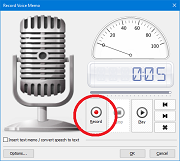 Click Record, speak to the microphone, click Stop. 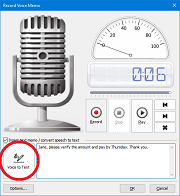 Click "Voice to Text" button if you want to convert your voice message to text. Or just insert the generated MP3 file by clicking OK.
You are done! 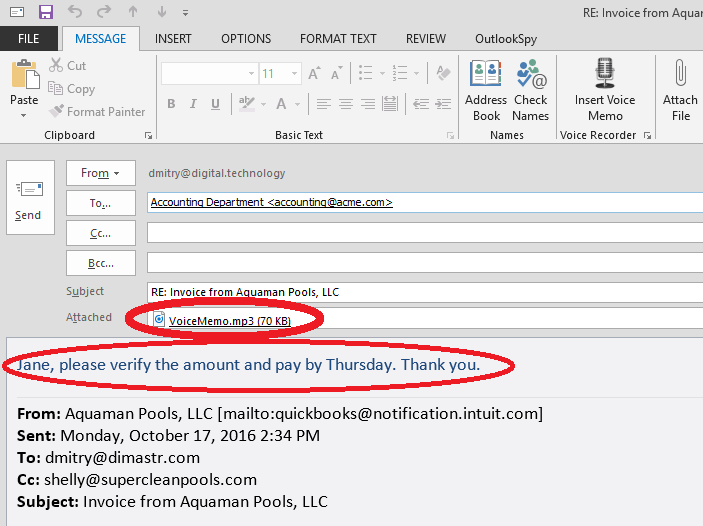 An MP3 file with your voice memo is attached!